After working hard at Drusillas Park for 30 years, 67 year-old Sandra Filtness celebrated her last day of work on Wednesday 29th March 2017. Fresh faced and eager to get on, Sandra was originally employed to work in the food bar (now Oasis Café). However, after a short period of leave Sandra began to make the gradual transition over to retail. Splitting her days between catering and shop work, it didn’t take long for Sandra to make a great impression. 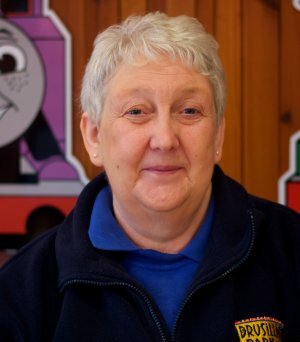 In 1997 Laurence and Christine Smith took on ownership of Drusillas, and quickly promoted Sandra to retail supervisor. With a brand new office to work from Sandra took on managing and buying for the zoo’s shops (Mungos Trading Post, the Gift Shop, Candyland and Teddy’s Jungle Safari). Drusillas marked the end of an era by celebrating Sandra’s years of hard work with cake and a champagne toast towards the end of her shift. As 30 years of service came to an end, every member of staff was sad to see Sandra leave. Drusillas will greatly miss such a valued employee and will be holding her to her promise to come back and visit soon.